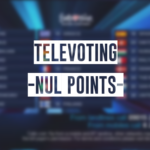 Many times we have wondered about the televoting and in what position the entries have been found in several countries when they are not in the top 10 of each country. There are few cases where in a country one participation has made impact (apart from alliances) and in other countries the same participation is in a very low position. 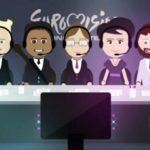 In this article,we will see in which countries this year’s participations caught the ranking bottom in televoting. Although the country of kangaroo was found in the last position of the televoting with just nine points, it was not found in any country in the last place taking more moderate positions. The worst,23rd, position had in: Azerbaijan, Cyprus, France and Italy. The hosting country was the champion at very low positions. More than half countries turned back in the emotional interpretation of Claudia pascoal giving het the last 25th or 26th place (depending on whether participated the country in the final or not) while nearly all other countries had low position. These countries were as follows: Armenia, Azerbaijan, Croatia, FYROM, Georgia, Greece, Iceland, Latvia, Malta, Montenegro, Poland, Romania Russia, San Marino, Austria, Czech Republic, Denmark, Hungary, Israel Italy, Norway, Serbia, Slovenia, Sweden and Ukraine. Countries in Western Europe, although not excited, they gave her best places from the past. Big exception France,which gave 8 degrees in Portugal. 4 countries gave Spain the worst: Albania, Australia, Belarus and Germany. The lower position was the 24th in the following countries: Armenia, Israel and Italy (remember that Italy was the only country not voted the winning participation of Sweden 2012). It took the last five positions from: Bulgaria, Cyprus, France, Switzerland and the Netherlands. The worst place was given to Finland from Moldova. The lower position came from Russia and was the 24th. Waylon received the 24th position from FYROM, showing that FYROM’s audience was icily blase to the Waylon’s participation. Mall took the lower 25th place took in Poland. In general,participations in the Balkans moved high while in many other countries was low. 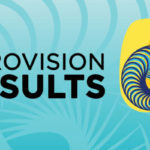 It may be considered as deprived as Mercy was not found in the top 10 in many countries but on the other hand,there were several cases where it lost degrees resulting between 11th- 15th position of televoting. Mercy moved less the Hungarians which gave itthe 22nd place. The country had the lowest, 22nd,place in Montenegro. Viszlat nyar with its special kind, divided the Eurofans. Several countries had it in the top 10 the-even lower while others are not interested at all. Three countries gave it the lower 23rd position and was: Albania, FYROM and Malta. Bones had not the expected acceptance. Although the participation collected degrees mainly from the Balkans, many countries ranked it low. It was found in the 24th place in Switzerland while many times moved between 22 and 23. In several countries,Nobody but you had great or moderate response (mainly in northern countries). The lower 20th place was received by the following three countries: Greece,Russia and Romania. Serbia is a special case as usually when it sends Balkan sound gathers high rating from the Balkans and other neighboring countries. The other countries did not offer a warm slot in Nova DECA as in many of them it was found low and even in seven was in last place: Estonia,Finland, Ireland, Lithuania, Portugal, Spain and UK. Mianly with moderate positions,it took the lower 22nd place from Switzerland. Tragic irony that Switzerland in 2014 had sent an entry with violin. Although the Lithuanian entry was loved in several Nordic countries taking high scores, there was a few countries literally sent to the bottom. Two Balkans ranked it in the 25th position: FYROM and Montenegro. However, in many cases,the participation was found in places 20+. La Forza was based primarily on moderate positions and a few countries had it very low. Germany gave it the lower 19th position. Moldova is one of the cases in other countries relied and in other had no impact.Three countries gave it the 22nd place: Albania, Croatia and Malta. The Ukrainian entry to under the ladder really divided Europe as some countries gave it a very high score and other countries very low under the 20th place. 25 position was given by Switzerland (which vote much different than the majority of countries). Germany had a satisfactory route in all countries. Two countries gave the 17th position and these were Latvia and Montenegro. In most countries and especially in Northern Europe, it moved in extremely high ground. Country who gave it the lower ranking is Albania with the 20th place. Czechs must have only smiles with Mikola’s success to bring the Czech Republic not only to the final and so high in the final rankings. The lower 17th place was given again by Albania. It had many high places and only five countries gave it lower places. Iceland gave it the lower 18th position. Fuego was found at the top 10 in all countries. The tenth position was given it by Austria, Denmark, Finland, Iceland and Latvia. Netta had won the 63rd ESC although it was not found in the first place unanimously. Three countries had not voted Israel and the lower 16th place was received by Estonia. At this point,we close this review on lower places that all the countries in the Final had taken.